their Nintendo, but he played with his first pc, creating music. His friends were delivering the newspaper for some extra money, but he was creating and selling beats for Dance battles. The first time Rancido got in touch with house music was through his mother. She was already listening to house artists like Masters At Work, Snap, The Nightcrawlers and The Bucketheads. ￼After going back and forth for years, Rancido decided to release his first record in 2007. “Salsa Sundae” as the track was called didn’t do much in the charts, but got support from national dh’s like Rob Boskamp and Gregor Salto. This would also be the start of Rancido’s remix career. In the follow up year Rancido was asked to do his first remix for Gregor Salto’s G-Rex Music. The remix for the track “Mexer” got support from Roger Sanchez and was played on his World famous Radio show Release Yourself. In 2009 Rancido became famous through his successful Residence at the house-event called SOULHEAVEN, which was held in Amsterdam’s own Paradiso. On this special event, he was giving the pleasure to play alongside dj’s like the Martinez Brothers, Kerri Chandler, DJ Spen, Mr V and Dennis Ferrer. 2009 was also a good year for Rancido as a producer. His remix of Mzee’s “Ancestral Calling” was released on Nulu Music and his remix of Qness’s “Uzongilinda” was released on SoWHAT Recordings. Rancido’s remix of Mzee’s “Ancestral Calling” was also included on Louie Vega’s monthly mix of December 2009 and January 2010, and to put the icing on the cake, it was selected for Louie Vega’s compilation for Ministry of Sound called: Ministry of Sound: Ten Years of Soul Heaven. 2010 was the year that the remixes really went rolling. Rancido got the privilege to put his Deep Journey touch on music for labels like Defected, Vega Records, Nulu Music, Offering Recordings, Seasons Limited and Afrazoo to name a few. Rancido’s second Release “Future Reference” was released on Nulu Music, and was selected for Hex Hector’s Compilation CD for Nervous Records. 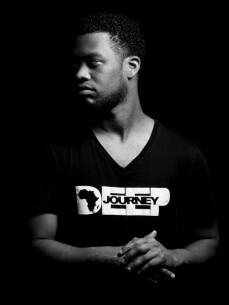 The Deep Journey Continued in 2011. Starting with Priss’s “On My Way” for Offering Recordings, followed by his very own “Fly Away” featuring I/Fan for Spinnin Records. In April of 2012, Rancido released “Brighter Days” featuring Lex Empress on Offering Recordings. But the streak wasn’t over yet. ￼That year Rancido Joined forces with Antonello Coghe from Nulu Music. Toghether they we’re responsible for remixes for artists like Anane Vega and MangalaCamara, which were released on Vega Records and Nervous Records. Rancido gets musical support from various artists like Louie Vega, Anane Vega, BoddhiSatva, Osunlade, DJ Gregory, Abicah Soul, Zepherin Saint, N’DingaGaba, Gregor Salto, Antonello Coghe and even Mark Knight to name a few. Rancido is dedicated to quality music and will deliver uplifting sounds through each track.